Note: This post was written by Dylan Fogarty. Man oh man have I missed writing about roundnet. I might not have played in a tournament for a while, but don’t you think that I wasn’t watching video, commenting on live streams, and staying up to date with all of the great moments of the 2017 season. I can’t wait to get back into the flow in 2018, and I can’t think of a better way to kick it off other than some of the hottest takes around. But first, let’s evaluate my bold predictions from 2017. 10. A pure Southeast team won’t win a tour stop: I wasn’t planning on Chris Hornacek not attending one in that region. Nor did I think Chico De Gallo would become the biggest mess of 2017. 9. And neither will a pure East team: I’ll be the first to admit that I undervalued Anchored LI and Hilltop Spikes all year. Fitzy turned into a top 5 player this year and Cole grew 17 feet. 7. One major tournament will be cancelled due to weather conditions. Part of me felt like a psychic the morning of October 14, part of me wishes I never made that prediction. Easily half a point. A photo of the extremely rainy and windy 2016 San Francisco Tour Stop. 6. Atlas Roundnet Club will top Origin Roundnet Club for most club points. Sigh, what even happened to clubs? Nevertheless, if club points were a meaningful thing, it would have been close, especially because Anchored LI was not part of Atlas. 5. Ogres Heroes will win every major women’s tournament. BOOM. Alli and Becca dominated in great fashion all year. 4. Origin Chaos will be a top 3 power ranked team by June. What can I say, my boys let me down. Was Origin Chaos the most disappointing team in 2017? They’d be in the running along Chico De Gallo and 2 Guys. 3. The national champion will not be from the West Region. What up Cisek/Showalter? In hindsight, easiest prediction of my life. 2. Strange Embrace will win two of the four West Tour stops. LET’S GO STRANGE! How does three sound instead of two? 1. Tyler Cisek will become the best player in the country. I’m giving myself AT LEAST half a point for this, although technically he was listed first on the top 10 player list. Total: 4/10. Giving myself half a point for Tyler being the best player and half a point for 2017 Nationals situation. Given the fact that these are BOLD predictions, I feel pretty solid about 40%. Without further ado, let’s take a look at my top predictions for this upcoming season. 10. Tyler Cisek and Peter Jon Showalter will remain the top 2 players in the nation. At first glance, this may not appear to be that bold of a statement, but take a look at the history of the young sport. Thus far, the top 2 have not been the same year to year (yes, I know, small sample size). Over the years, there has been debate between a select 2-4 players (Shaun Boyer, Buddy Hammon, Peter Jon Showalter, Troy Mauk, etc). This year, there was absolutely zero question that Tyler Cisek and Peter Jon Showalter were the top 2 players in the country, and Jarratt Rouse (#3) was a very clear, yet distant third. Since we are in the first few years of a competitive sport, there is a certain amount of variation that will happen year to year. The sport is practically completely different due to the speed of the game, the variety of hits, and the offensive strategies put into place. Because the first official season was just five years ago, it makes sense that there would be variation at the top. However, due to the fact that Cisek and Showalter will be playing tons this year and work constantly to improve their game, combined with the fact that the next closest player (Preston Bies, in my opinion) has a long way to go to catch up, I just don’t see anyone overtaking the national champions. 9. Cisek/Showalter will break the record for most pitchers won in a season. To my knowledge, the current record is held by Origin Vengeance (eight in 2016) and Cisek/Showalter came very close to beating it (seven in 2017). With a total of 20 opportunities this year (19 tour stops, regionals, and nationals), you have to believe that they will crush this record as long as they attend even half of those major tournaments. I know Cisek said that he hoped to play as many as possible with Showalter with the intention of dominating the circuit this year, so we’ll see if the rest of the field can find a way to limit their dominance. 8. 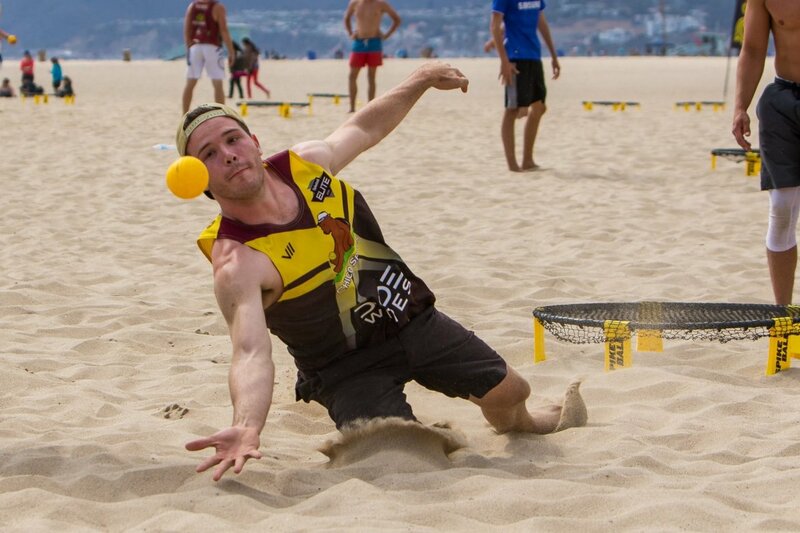 Spikeball™ will land it’s first lucrative sponsorship to significantly contribute to the prize pool. I know that this has been a point of major debate, and while I definitely understand the desire to enhance the prize money for tournaments, I also understand the difficulty, from the company’s standpoint, in simply adding more money to the prize pool. I also know that the company has been working hard to secure sponsors in an attempt to aide some of the top teams. This is the year. 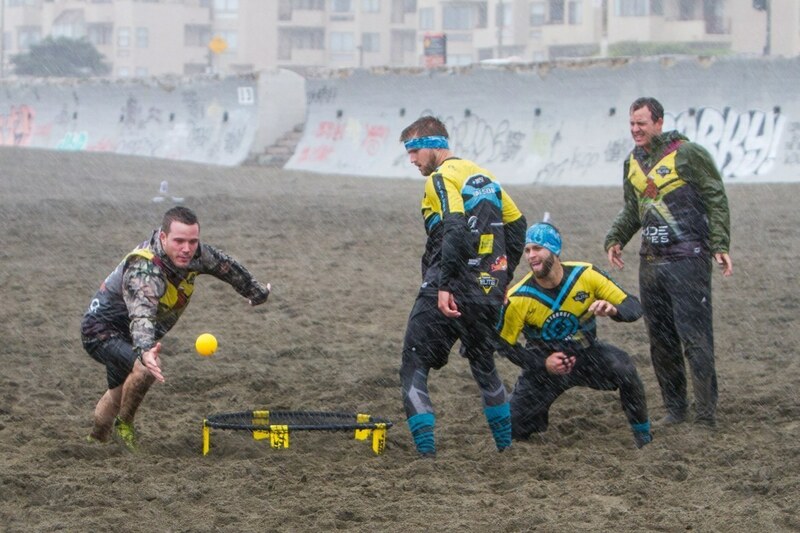 The rate of Spikeball™’s growth has been absolutely incredible and a major player is bound to get some roundnet stock this season. The Women's Division at 2017 Nationals in Chicago, IL. 7. 2018 women’s nationals will have at least 32 teams. In 2016, there were 21 women’s teams signed up for Nationals. In 2017, 19 signed up to play in Chicago. This year is the year for women’s roundnet. 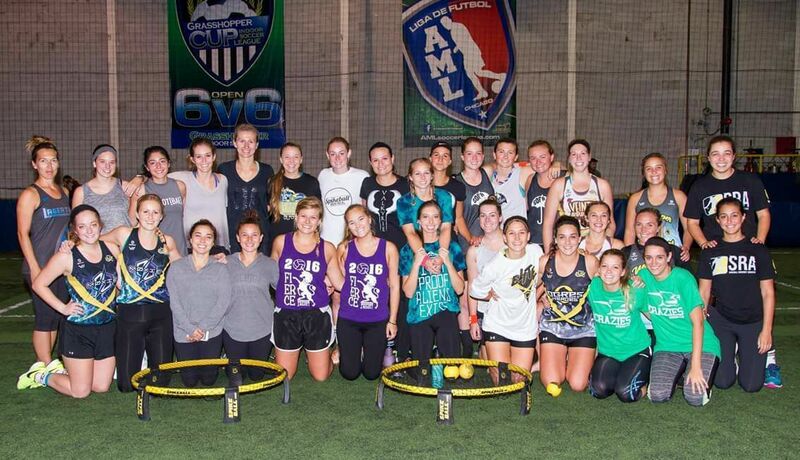 I think a large part of developing women’s roundnet comes from the existing player base encouraging their friends, significant others, sisters, moms, to just come out and play. The women’s game is still very new, so the exciting thing is that newer players can learn quickly and be competing within a matter of months. I also believe the success of women’s roundnet will depend on the emphasis that co-ed has, and how much those Sunday tournaments are marketed. If bigger players stay to play on Sunday and compete hard, I could see that have a domino effect on players. Overall, I’d love to see a fully filled, 32 team bracket come 2018 Nationals. I think we can do it. 6. The coed division will have a it’s own division at nationals, which will be a two day tournament. In any sport, coed or “mixed” is a huge part of the competitive scene. Personally, I believe coed is one of the best ways to play roundnet, and is a perfect mix of fun and competitiveness. With some major tournaments highlighting the co-ed circuit, and top players invested in competing (Tyler Cisek, Preston Bies, Alli Kauffman, Becca Witmer, etc), I truly believe co-ed will require its own division come Nationals, and possibly even Regionals. With that being said, I also hope this pushes 2018 Nationals to be a 2-day event. I feel like nearly every Nationals we’ve had has been rushed, not due to anyone’s fault. A two-day tournament would really make a nice event out of the biggest weekend in roundnet. If there’s one weekend to have people invest in staying an extra day, Nationals should definitely be it, especially considering many volleyball and ultimate frisbee tournaments are three to four days long. 5. Hilltop Spikes will be a top 4 team by May and will peak at #3. I personally don’t view this as a big stretch, but others seem to disagree. The development of Hilltop has been a thing of beauty. They went from getting crushed in the first round of 2015 East Regionals to The Rookies, to becoming addicted to improving their game, to competing with teams 10 years older (seriously, I’m almost 10 years older than Cole), to going viral on social media with hip new trick shots, to being a serious force on tour. Max Model reaches for a ball at 2017 East Regionals. Haters will say that Hilltop didn’t have a signature win in 2017, which may be true, but they were so close to upsets multiple times. They had some incredible pool play runs, including dismantling most foes at Nationals, and nearly took out Strange Embrace at the Boston Grand Slam (losing deep in extra points of game 3). 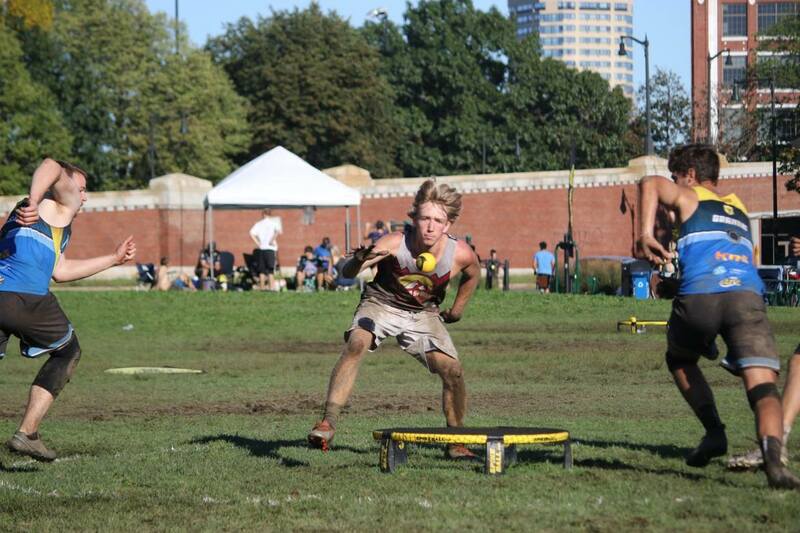 They handily defeated Bolivia in the round of 32 at Nationals, a team that nearly made Spikeball™ Elite and pushed Cisek/Showalter to 3 games at the Philadelphia Tour Stop finals. It was too bad that they ran into the only team hotter than them that day (Spicy Rubi) the very next round, otherwise the Model boys could have easily made top 4 at Nationals. The crazy thing about these two is that Max is 18 and Cole is 16. They have so much time to refine their skills, prepare for top teams, and explode onto the scene. This team could easily take out some of the top tier threats (Easily Dug, Spicy Rubi, Anchored LI, etc) and I could see them taking Impact a couple times as well. The sky is the limit for these two teenagers. 4. Chris Hornacek will break into the top 4 at Nationals. Let’s take a step back and evaluate a few facts. Because I think it’s important for everyone to recognize the insane amounts of consistency that Chris Hornacek has demonstrated over the past two seasons. In 2016, Hornacek played in 12 tour stops, appearing in 10 semifinals. In 2017, he bumped it up to 14 tour stops, making 11 semifinals. He also took home first at 2016 Midwest Regionals and second at 2017 Midwest Regionals. For those fellow geeks out there, that means Hornacek has made podium at 23/28 tour stops and regionals, or 82 percent of those majors. He has made the finals at 18/28 tour stops (64 percent) and won 11/28 (39 percent). He’s won 4/8 (50 percent) of grand slams, and is 4/5 (80 percent) in grand slam finals. If there is a glaring weakness on Hornacek’s resume, it’s his Nationals’ appearances. He lost in the round of 32 in 2015 and 2016, and round of 16 in 2017. All of those matches (particularly 2016 and 2017) were considered big upsets. However, I’m not betting against 82 percent this year. The nationals funk is over, and Hornacek will have the most satisfying podium picture in 2018. And prove to all you voters that he’s a top 10 player. 3. A season-long injury will impact a top 25 team and occur at a tournament. I want to be very clear - just like when I predicted a tournament getting cancelled due to weather, I absolutely do not want one of my friends to lose a season due to injury. That would be absolutely terrible for any team. However, with all the hard swinging, quick reactions, and close quarter situations that happen every single point in roundnet, I’m shocked that someone hasn’t gotten seriously hurt from this sport. Fingers crossed that it doesn’t happen. Shaun Boyer of Chico Spikes dives for a ball back in 2016. 2. Skyler Boles will not win a pitcher until Chico Spikes returns for a tournament in the West region. Boles is still one of the most pure passers and talented defensive players in the game, but due to the fact that (to my knowledge), he will be mostly mashing up this year, I don’t see him winning another major (Tour Stop, Regionals, or Nationals). I don’t see him holding up his fifth straight Regionals title. I don’t see him competing with Cisek/Showalter, Impact, or Wabi Sabi….until Shaun Boyer comes back and plays with him. Boyer proved that he could still ball last year, finishing second at Birch Hill and taking the current #2 team in the country for this year (Wabi Sabi) to 3 games with Vinny Bonta in the finals there. Boles and Boyer both enjoy the element of surprise and proving people wrong, so if this happens in 2018, just remember you read it here first. 1. Cisek/Showalter will lose 3 times in 2018. It’s incredibly difficult to have a season like Cisek/Showalter just had - only losing once over 12 months is wildly impressive. The fact that they have only lost twice in their history playing together is even more impressive. But dynasties are meant to be challenged and, eventually, defeated. I believe the Cisek/Showalter dynasty is just starting, but I think that teams will catch up to the duo of Cisek and Showalter this year. Whether it’s an off-day, teams play out of their mind, or a combination of the two, I envision Cisek/Showalter losing three times - twice to Impact and once to Wabi Sabi. Hornacek and Drucker are coming into this season with unmatched confidence, and after playing them a handful of times in practice, teams should absolutely be terrified of this duo. Drucker is playing with more confidence with his serve and Hornacek is arguably in the best shape of his life. I believe that Preston Bies is the clear third best player in the country right now, and he has the capability to take over games with his serve and insane reactions. Rouse is going to play an incredible second fiddle with great consistency, an amazing touch, and pretty much unrivaled endurance in tournaments. Even though I think the matchup is difficult, Wabi Sabi should be able to steal one from the reigning national champions this year. Subscribe here to receive weekly email updates from The Rally Blog!